Trading under the name The Chemical Brothers, Tom Rowlands and Ed Simons have built their own universe, their own scene. Their imitators gave up trying to compete a long time ago, and so now they stand alone and above. There is no concession to the push button bangers of the EDM world, nor is it some period re-enactment to create some kind of "real". No. 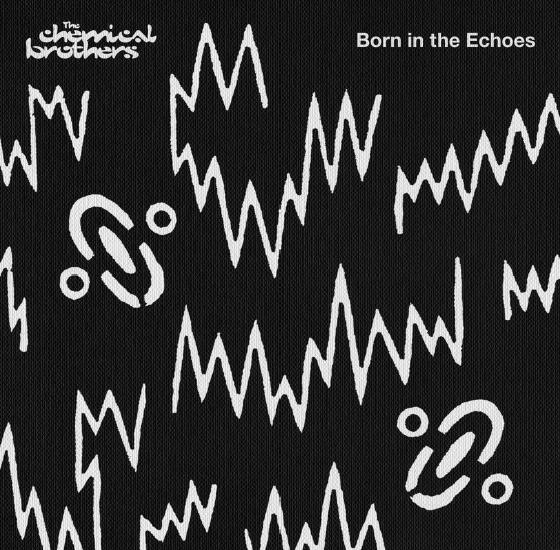 This is The Chemical Brothers being The Chemical Brothers, and no one else can touch them now. 20 years on since they released their Exit Planet Dust debut, any expectations of trading on past glories or repetition has long been dismissed. Chart topping albums around the world, Grammys, contributing to the Olympic Games and an Ivor Novello Award for Outstanding Song Contribution, plus a reputation for being one of the best live acts in the world, have seen them grow from into one of the most influential electronic acts ever. You could quite easily bestow them National Treasure status, even if their relative anonymity allows them to be more likely to be seen at the front of a queue at the newsagents buying some Chewits, rather than staring out from the front pages. Rowlands and Simons have long been exploring the sounds from the sounds, the effects within the effects, yes, music born in the echoes, if you will. This ongoing exploration into the furthest reaches of sound married with an assortment of giddy thrilling beats. You imagine them shrinking down to have an adventure in their wheezing antique equipment, literally bending the wires, pushing it to its limits and showing that new forms, sounds and shapes are still out there. Born In The Echoes is The Chems returning to their key field of expertise, and consolidating the brand after the slightly less commercial and guest-free Further set from 2010. It's also return to their original formula of featuring vocals from a mix of turns, last heard on 2007's We Are The Night when Midlake, Ali Love and Klaxons were onboard. Here we have 'Go', which has that Saturday night in the late 70s/early 80s excitement of when hip hop mixed with disco and had an air of freshness about it. Of course, with Q-Tip onboard, it sounds like the best party ever. St Vincent is disassembled into the ensemble of flickering sequencing on highlight 'Under Neon Lights'. Cate le Bon shimmers like Broadcast on the title track's krauty pop sheer. On closer 'Wide Open', Beck - with whom the Chems have a sort-of shared history, emerging at the same time when one was trading as Dust Brothers and the other was about to start work with the actual Dust Brothers - is a beautiful way to close the album. It's a warm and jolly voyaging feelings-filled reflective sunrise house closer to send you off happy. Combining Public Enemy with My Bloody Valentine via the medium of acid house and through a filter of 'Tomorrow Never Knows', is a recipe that serves 'I'll See You There' and on the trampolining Swoon-y swoons and spears of gazey shards of 'Reflexion' well. 'Taste Of Honey' is a strange little exercise, combining a variety of bubbling sounds that initially look like they're having difficulty gelling along with an impression of a bee. Or at least a synthesiser pretending to be one. Born In The Echoes is another example of Rowlands and Simons' magic way of making machines sing. The beauty of the Chemical Brothers' catalogue is that they'll take you to places you'd never dream of going, and play merry hell with your mind as a bonus. However, there's the moments of calm and warmth where they've remembered to pack a blanket and drop you off home afterwards. There really is no one else like them.